The book’s opening chapter depicts a sweating, indicted Stapel driving through The Netherlands, retracing the locations in which his fraudulent studies were presumably carried out, anxiously trying to straighten out his story and evade the inevitable. The scene is gripping. In the pages to follow, Stapel gives a first-person account of one of the biggest fraud cases in scientific history. If only for that reason, the book is priceless and revealing. In his descriptions of methodological practice in psychology, Stapel appears to underscore the conclusions from the Levelt committee that investigated the fraud case: It was not just Stapel who failed, but the scientific community as a whole (www.tilburguniversity.edu/nl/nieuws-en-agenda/finalreportLevelt.pdf). And indeed, on a systemic level, the book provides cause for reflection. To what extent do the current academic incentives encourage researchers to make their findings look better than they are? To what extent can we trust researchers, and leave them alone with a “big jar of cookies?” The Levelt committee concluded that social psychology needs to clean up its act as an academic discipline, but Ontsporing suggests that the Levelt advice might be relevant for other disciplines also. Ontsporing is a captivating book, even as it is transparently self-serving. On a personal level, it is an emotional account of a fraudster’s insecurities, fears, and self-hatred. Stapel describes how his entire family suffers from being ostracized and harassed by the media (incidentally he forgets to mention that, prior to his fall, he made regular TV appearances and was one of the most well-known psychologists in The Netherlands). However, the reader is never quite sure of whether Stapel’s remorse is real. The last chapter — an unexpectedly beautiful, poetic description of Stapel waking up next to his wife — feeds the idea that the narrator may not be entirely trustworthy: It is composed of sentences that Stapel copies from the fiction writers Raymond Carver and James Joyce but presents them without quotes and only acknowledges the sources separately in the appendices (p. 314). This odd path to attribution is telling; the reader cannot help but wonder whether there may be yet another literary layer of deceit under the apparently candid book. 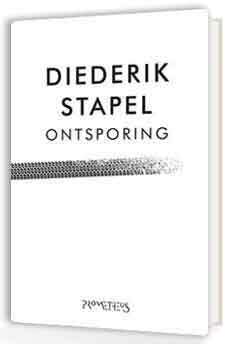 In the Dutch media, Stapel’s motivations for publishing Ontsporing have been widely questioned and ridiculed. The book has been interpreted in terms of a narcissistic personality craving for attention or partial rehabilitation. Financially destitute, perhaps Stapel simply wanted to make a quick buck. Many people have moral reservations about fraudsters making money by writing books that detail their methods of deception, and almost immediately after publication the book was available as a free download. Regardless of Stapel’s motivation, however, the book itself is unique, devastating, and a must-read for anyone with an interest in science. “Ontsporing” means “derailment” in English, not “derailed”. i.e. “ontspoord” in Dutch). I wonder if this will ever be translated into English? I’d love that to happen. And I’d donate to a fund to pay a translator. I find it amazing that the “cookies” in Stappel’s jar were his fake data. To many researchers, the real cookie is when one sees their hypotheses ACTUALLY confirmed by ACTUAL evidence. Stappel’s way, is a highway straight to hell. uncovered, he probably faces some kind of deserved self-redemption. Denny Borsboom is an associate professor at the University of Amsterdam. He can be reached at dennyborsboom@gmail.com. Eric-Jan Wagenmakers is a professor at the University of Amsterdam and the University of Groningen. He can be reached at ej.wagenmakers@gmail.com. 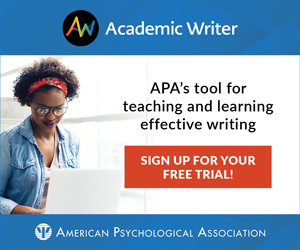 They have published on the methodology of the social sciences in leading journals, including Perspectives on Psychological Science and Psychological Methods.